Just Swim Level 4: Students must be able to take three consecutive breaths unassisted and swim a distance of at least 10 feet. We focus on building strength, confidence and independence in the water. 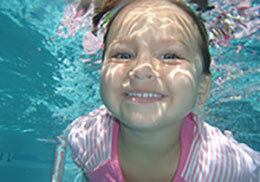 The student will learn side breathing, continue improving backstroke and begin dolphin kick and basic butterfly.